After graduating from university, Atsuko worked as a news anchor at a regional station. After her broadcasting stint, Atsuko went to San Francisco to further her study, which was cut short due to family obligations. Back to Japan, Atsuko worked as a narrator, translator and English teacher, while attaining her M.S. Ed. in TESOL (Teaching English to Speakers of Other Languages) at Temple University in Tokyo. Thereafter, Atsuko worked in the research department of an education related company, but the call from abroad came again. This time, Atsuko went to Northwestern University near Chicago and got her MA in Learning Sciences from the School of Education and Social Policy. With her second Master’s degree, Atsuko was recruited by a major IT company in the San Francisco Bay Area and later its subsidiary in Japan. After getting married and having children, for about 5 1/2 years, Atsuko devoted herself to helping her mother’s company to become more systematic and efficient in handling accounting and management tasks. It all started with a goat. When Atsuko wanted to get the house organized in order to keep a pet goat, she discovered the world of the Seiri-Shuno Advisor qualifications. In a society overflowing with information and things, Atsuko is convinced that in order to live a functionally less-stressed and healthy lifestyle, it is important to organize one’s surrounding. As a result, Atsuko further acquired qualifications for Advisor Level 1, Consultant and Certified Instructor for Advisor Level 2. Thereafter, as one of the first graduates of the Academia course, Atsuko spent 2 years acquiring the necessary knowledge and skills as an Advisor, to handle organizing-related social problems and needs. With such efforts, Atsuko achieved the highest level qualification as an Academia Master. 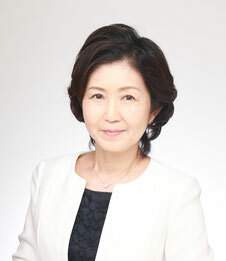 Currently, as one of the founding members and an executive officer of a spin-off from the Academia project called ”Seiri-Shuno Educator”, Atsuko is involved with the offering of courses, as well as the planning, development and management of new curriculum. Furthermore, endeavoring to expand the Seiri-Shuno Sawa Method (theory for organizing) to the global market, Atsuko is overseeing the Global Market Division of the Housekeeping Association, busying herself from the translation of PowerPoint presentations to the building of the e-learning program, offering courses and cultivating English-speaking instructors. Atsuko’s passions can be summarized into two keywords: “Children” and “Global”.